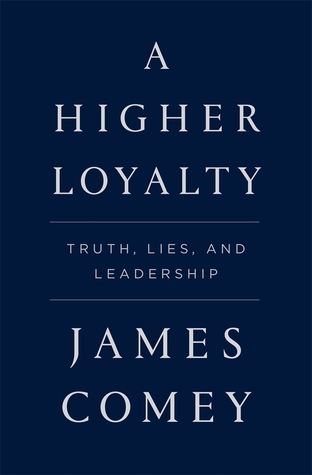 Former FBI Director James Comey shares his never-before-told experiences from some of the highest-stakes situations of his career in the past two decades of American government, exploring what good, ethical leadership looks like, and how it drives sound decisions. His journey provides an unprecedented entry into the corridors of power, and a remarkable lesson in what makes an effective leader. Mr. Comey served as Director of the FBI from 2013 to 2017, appointed to the post by President Barack Obama. He previously served as U.S. attorney for the Southern District of New York, and the U.S. deputy attorney general in the administration of President George W. Bush. From prosecuting the Mafia and Martha Stewart to helping change the Bush administration’s policies on torture and electronic surveillance, overseeing the Hillary Clinton e-mail investigation as well as ties between the Trump campaign and Russia, Comey has been involved in some of the most consequential cases and policies of recent history. I listened to the audiobook during my commute this week and found myself lingering in the car in my driveway, or sitting in the parking lot at work to eat my lunch, just so that I could keep listening. There is so much information and misinformation out there right now, especially in the realm of American politics, that I didn’t know how I felt about the firing of Director Comey. I knew I didn’t respect how it was done, but then Trump can always be counted on to show little to no class. But as to the substance behind the firing? I just didn’t know what to think. This book has completely made up my mind. Admittedly, I am only receiving one opinion – that of James Comey. However, his arguments are clear, concise and logical. In his book, he comes across as confident but still possessing of humility. He admits when he was wrong, and when he could see another person in his position making a different call, and still find it justified. In the end, Director Comey was caught in the middle of the nasty crossfire of partisan politics in the lead-in to – and following – 2016’s election. There really was no win there. Listening to this book makes me hope that in the near future, after the Russia investigation is completed, Robert Mueller will also write a book. And that it will be read by Mr. Comey. All else aside, the former FBI director has a very soothing voice and is a great companion during the daily commute.